7 Tips for Buying Children’s Footwear | Podiatry Associates, P.C. 1. Shop Late Afternoon – The feet expand and swell throughout the day. You want to catch your child’s feet when they are at their largest to get the most accurate fit. 2. 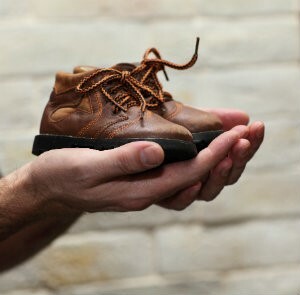 Get Them Sized – Since children’s feet grow so rapidly, you need to have them re-measured before trying on sizes. 3. Get Age-Appropriate Styles – Early walkers and toddlers only need soft shoes that allow them to “feel the ground” and develop their foot muscles. Older children can start wearing more supportive styles. Even then, make sure they have low heels and soles that won’t slip or stick to the ground. 4. Fit to the Bigger Foot – Most people have one foot that’s bigger than the other. Make sure you choose the size that will fit the larger foot best. 5. Try Them On – Have your child try on all prospective footwear and walk around. Shoes should be immediately comfortable for your child. 6. Check Length and Width – Make sure shoes are wide enough for your child to wiggle his or her toes. Keep about half an inch of space between the ends of the shoes and the toes, too. 7. Select Good Materials – Look for breathable materials that allow air circulation to help relieve sweating and prevent smelly shoes. Shoe shopping with your child can take time, and yes, it may happen more often than you would like. However, having your son or daughter grow up with healthy feet is worth the challenge of finding the right pair. If you’re struggling to get the right shoes, or you’re worried about the shoes your child already has, let our team at Podiatry Associates take a look and help you. Use our online form or call (303) 805-5156 to make an appointment at our offices in Cherry Creek in Denver, Parker, or Castle Pines, CO.